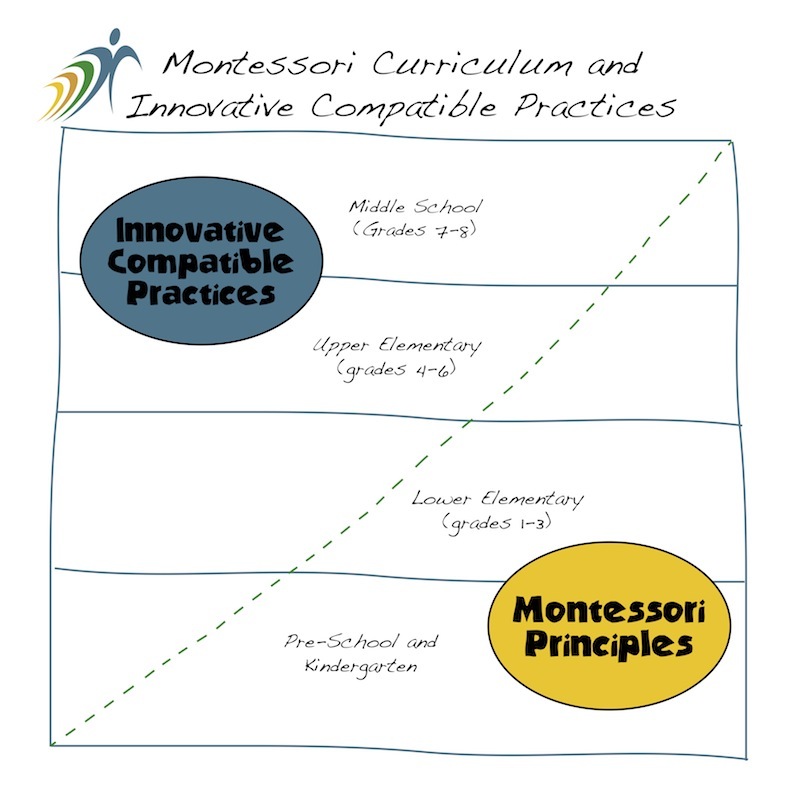 When I first came to Inly (then called the The Montessori Community School), I noticed that most Montessori schools – including TMCS – were structured like pyramids— with strong preschool programs, topped by grades 1-3, 4-6 and 7-8, each getting sequentially smaller in size. While my first instinct was to change Inly’s structure by transforming the pyramid into something more rectangular, I also wanted to understand why this structure existed in the first place. 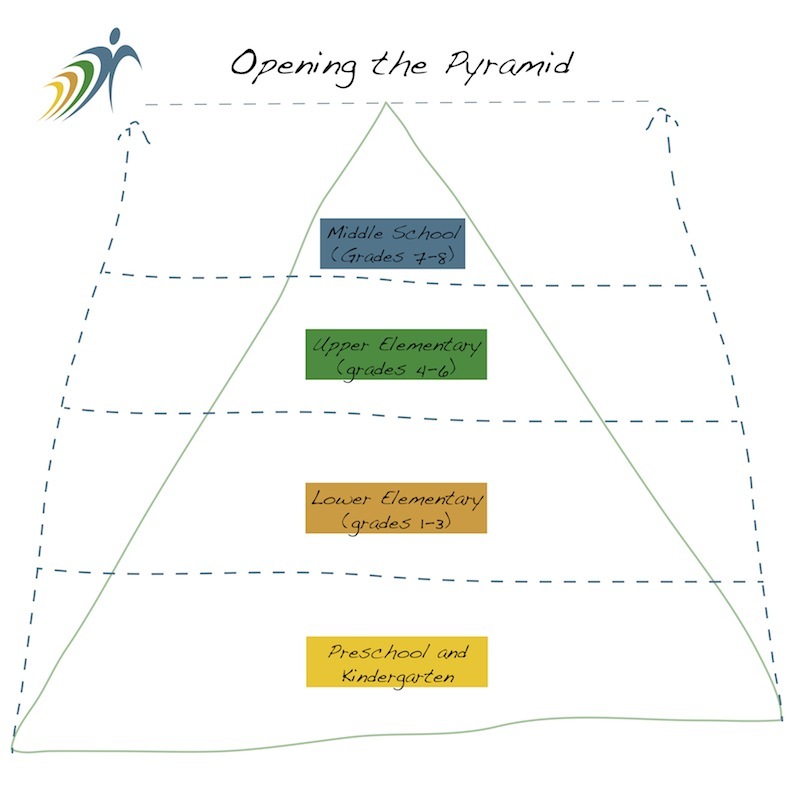 It turned out, the pyramid exactly mirrored Dr. Maria Montessori’s own work with every level. Montessori focused the majority of her work on early education while her son, Mario, carried on her work with lower elementary students. Her vision for Middle School was succinctly expressed in a 3 page paper in which she described a curriculum that was an extension of earlier learnings with a greater focus on practical life skills, mathematics, languages, history, the arts and more. Dr. Maria Montessori died in 1952 but her legacy lives on in the countless successful Montessori programs around the country and throughout the world. While the Montessori method continues to garner respect from educators everywhere, other complementary practices have also surfaced in more recent years. I wondered what would happen to our little school if we combined tried and true Montessori methods with other harmonious practices so (in 1998) we adjusted our mission statement to be “A partnership of children, teachers, and families, dedicated to the joyful discovery of each child’s innate capabilities and potential. Our community of learners inspires and nurtures children to become global citizens by embracing the philosophy and methods of Dr. Maria Montessori, in harmony with other compatible and innovative practices.” We began to incorporate the most successful, cutting-edge practices with Montessori’s original teachings. Our faculty reviewed the entire curriculum and remodeled the curriculum to make sure it best reflected our new mission. This led to the expansion of our programs and tremendous success for our children. Very organically, the pyramid began to open and it was lovely to see. Inly’s Middle School is a wonderfully successful interpretation of Maria’s Montessori’s vision. In fact, I often find that other Montessori schools will reach out to us to understand how we’ve structured our program in hopes of replicating it. The Inly Middle School is a defining, holistic program for the developing adolescent. Ourcomprehensive academic curriculum is integrated, interactive and, whenever possible, experiential. Guided by Inly’s core values, students develop a remarkable sense of self-knowledge, confidence and community. Programs like Middle School Internships, Model UN, Rowing, and the Guatemalan Exchange allow our students to apply their knowledge to a myriad of real-world scenarios. In many ways, our program is a taste of college and the world beyond for our students. In recent years, a slew of educational experts have observed that the industrial education model, which places all 7 years olds (regardless of skill or development) with other 7 year olds and all 9 year olds with other 9 year olds, is not as effective as the Montessori approach, which offers mixed age classrooms. Every child in a Montessori classroom is treated as an individual, regardless of age. At Inly, we keep the Montessori hands-on philosophy alive and well. We observe every day that when children feel better about themselves, they learn. When children are happy, they learn. When children are supported and safe, they learn. When they’re not, they don’t. This is why we continue to foster individuality, trust and love in our students and our community— and continue to watch the pyramid transform into the rectangle I once imagined it could be. Previous Post: Alumni Spring Sports Roundup!